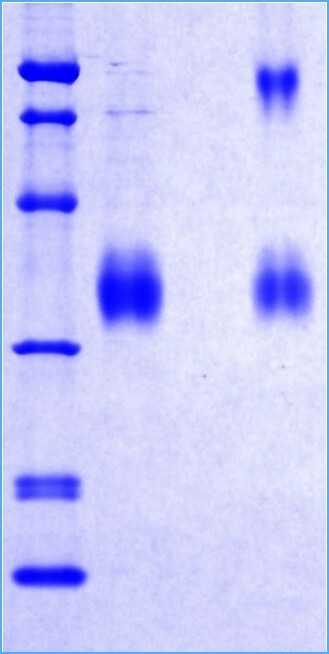 The biological activity of Adiponectin is measured by its ability to inhibit proliferation of mouse 3T3 fibroblasts stimulated by PDGF. The ED50 for the effect is typically 5-15 μg/mL. GFC to determine purity of the protein.